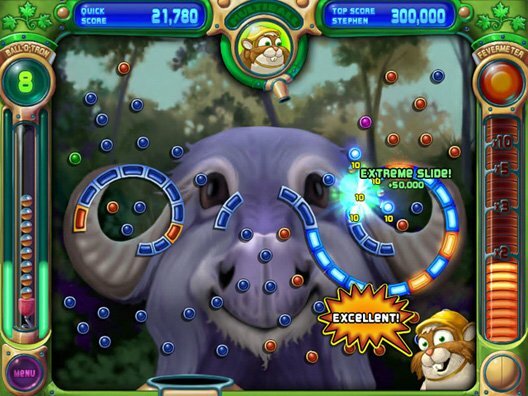 The breakout hit from PopCap in 2007, Peggle, is now in rotation for Electronic Arts’ On The House campaign through the online game store, Origin. For those unaware, the On The House promotion offers one free game every month. The game is completely free and never expires. In order to redeem the game, you have to log into origin and start the download. EA started this promotion in March and has had several good games in the lineup so far, such as, Dead Space, Battlefield 3 and Plants vs Zombies. Electronic Arts has been struggling to win the gamers’ affection for the past two years winning prestigious awards such as the Golden Poo for being the worst company of the year from The Consumerist. In recent moves, EA has created a single player offline mode for Sim City, launched the On The House campaign and promised gamers Battlefront 3 at E3 2014. Is it possible that these moves could save EA from winning the worst company of the year this year? Only time will tell.